The first celebration in the Tamil calendar, Pongal – or Thai Pongal – is a harvest and thanksgiving festival celebrated by Tamils around the globe. We talked to the chief priest at Bangsar’s Sri Nageswari Amman Hindu temple Sivasri Thevaindran Sivachariar, or Mr Indran, to learn more about this festival. Although Pongal is typically celebrated on January 14 each year, Mr Indran says that it isn’t the Tamil New Year (which is actually in April). Pongal is simply a celebration of the six-month harvest season – January 14 until July 16 – which is usually regarded as an auspicious period. ‘Traditionally, prayers are given to the Sun God in appreciation for the bountiful harvests of rice and sugar cane – two important staples in the Indian diet; in modern times, this six-month period is believed to bring good luck so occasions such as marriages, business ventures and such are held during this time,’ says Mr Indran. Essentially meaning ‘overflowing’ in Tamil, pongal is a communally prepared sticky rice dish that everyone shares after cooking it. Firstly, milk is boiled in colourfully decorated clay pots until it froths and overflows to signify wealth and prosperity. Then, ingredients such as rice, jaggery (cane sugar), ghee and cashew nuts are added. ‘The dish is prepared on Pongal day itself at temples or at home. At temples, the rice is served on banana leaves with a piece of sugar cane and pickles on the side,’ he says. There’s also a savoury version that’s made without jaggery, but according to Mr Indran Malaysians prefer their pongal with sugar. The eve of Pongal is known as Bhogi; and on this day, devotees burn or discard old belongings to rid themselves of bad luck, and a family meal is made from leftovers and shared at night. On the day of Pongal itself, devotees flock to temples to perform prayers and partake in the communal cooking of rice over wood fire, which will then be served to everyone. ‘The whole occasion only lasts for about an hour starting from 7am,’ says Mr Indran. 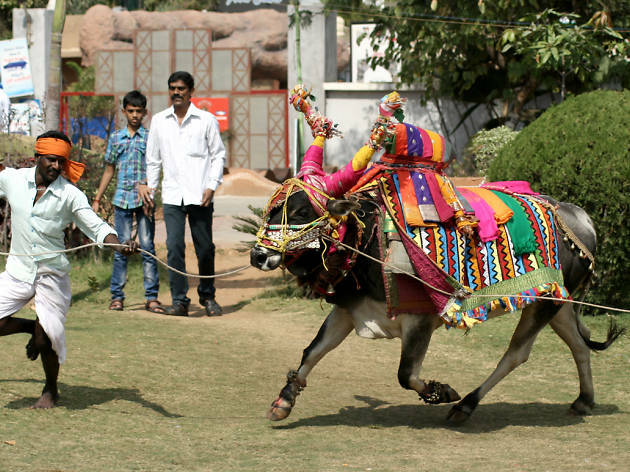 The third day of the festival is called Maatu Pongal or Cattle Pongal; in olden times farmers would bathe and decorate their cattle as they’re considered a source of wealth by providing labour and milk. ‘Today, devotees decorate their vehicles instead such as cars, tractors or anything that help them make a living,’ he says. 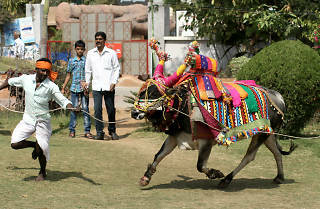 Regardless of your race or religious beliefs, you can join in the festivities and celebrate Pongal. ‘On Pongal, all temples are open to anyone who wants to experience the celebration. You can contribute to the pot of pongal by bringing your own rice or you can also help with the cooking; and of course, you get to eat it too!’ says Mr Indran. You can experience Pongal at temples such as Sri Nageswari Amman Alayam, Jalan Lengok Abdullah, off Jalan Bangsar, KL (03 2282 0635/fb.com/NageswaryAmmanAlayam) and Sri Subramaniar Temple, Gombak, Batu Caves (03 6189 6284/batucaves.org).